Twisted Lines Boot Toppers is my latest design released and published in the Under 100 Knit Collection book and as an individual pattern download on the Knit Picks website. 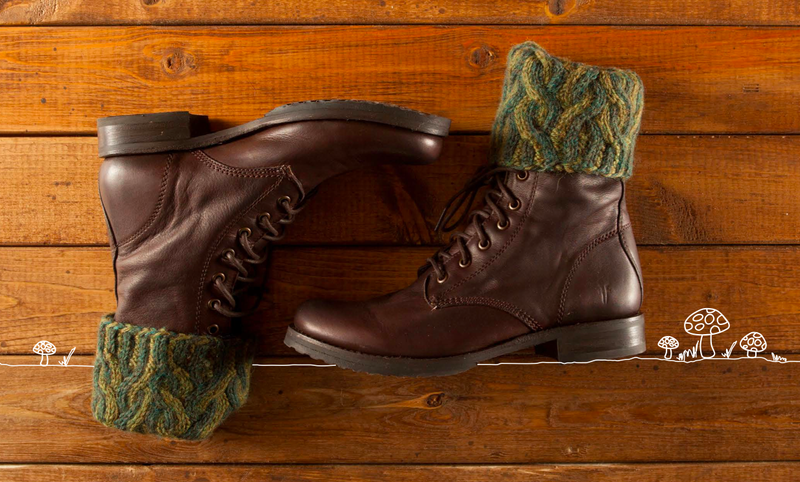 The toppers are designed in two sizes to give you either an ankle height boot topper or a calf height. Either size can be knit in less than 100g of worsted weight yarn. 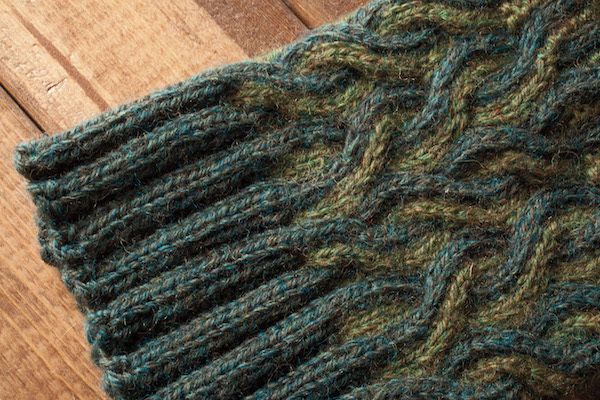 They are worked in two contrasting colors with intertwined cables, corrugated ribbing at the top and a solid color ribbing cuff at the bottom. To celebrate the release of the Twisted Lines Boot Topper, I have a print copy of Under 100 Knit Collection to give away! A winner will be chosen from the Ravelry users who Like, Queue, Hotlink in a Ravelry group and complete (with photos) the Twisted Lines Boot Toppers on Ravelry thru the end of January 2014! The entire collection of pattern is designed to use no more than 100g of yarn and has various accessory projects in everything from lace to bulky weight yarn. Love the boot toppers! Going on the list of things to knit!